It’s all change at Splendid since my visit last year. 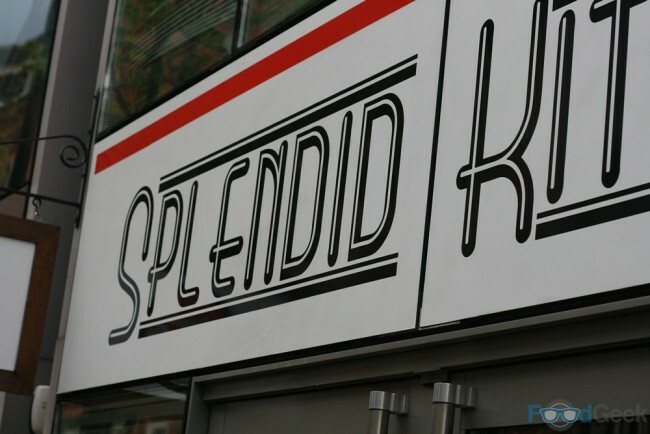 Firstly, they’ve changed their name from Splendid Sausage Co to Splendid Kitchen, presumably because they ended up selling a whole lot more than just sausages. 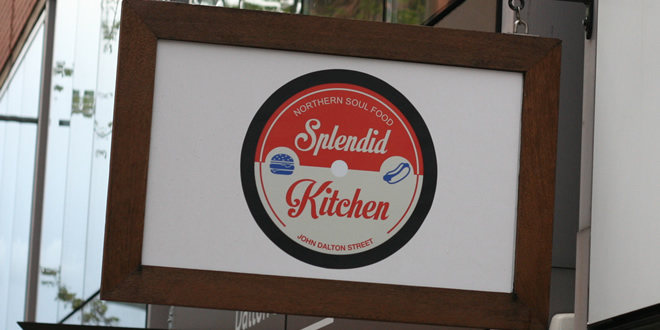 More recently they’ve begun a series of ‘Kitchen Takeovers’ on Monday nights, which have seen prominent Manchester street food vendors serve their own food for one night only. First up for the ticket only events were The Hip Hop Chip Shop, followed by Love From The Streets the next week. 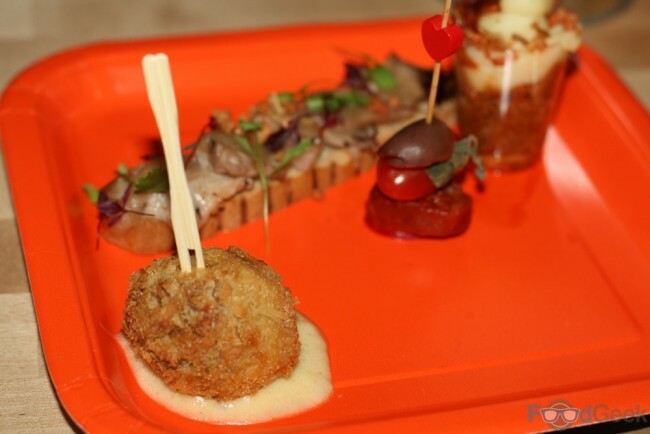 I’d eaten Love From The Street’s – aka ex Solita head chef Jason Latham – food before many times and never been disappointed. It appears Jason can turn his hand to pretty much any cuisine but seems settled on Jamaican/Caribbean at the moment, which perfectly suits his flavour packed style and love of chilli and spices (and mine too). Things got off to a great start with ‘The Whole Hog’, a tray of canapés that included: Spit roast hog with smoked apple sauce and sage and a shot glass of pulled pork topped with sour cream mash and crackling dust which was almost certainly inspired by the equally brilliant Pulled Pork Sundae at Solita. Next up was the intriguingly titled starter, ‘Smoke & Dreams’. 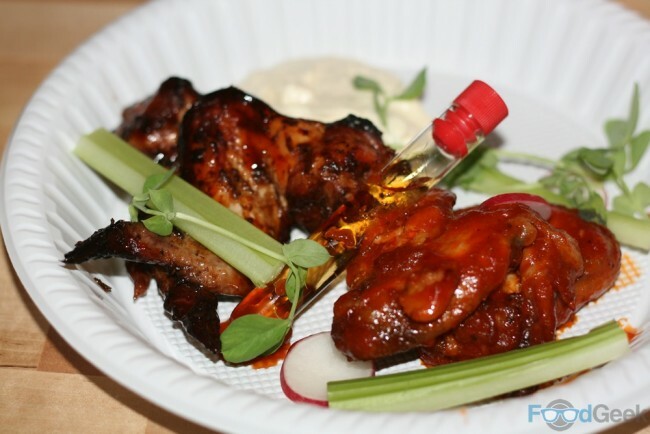 Two varieties of chicken wings; crispy buffalo and hickory smoked BBQ were served with a shot of Bourbon and the requisite celery and blue cheese dip. Both types of wings were intensely flavoured and meltingly tender. When I read the menu I assumed the main course was a choice from what appeared to be at least four complete dishes. It wasn’t. ‘Jerkin-About’ contained all of them! 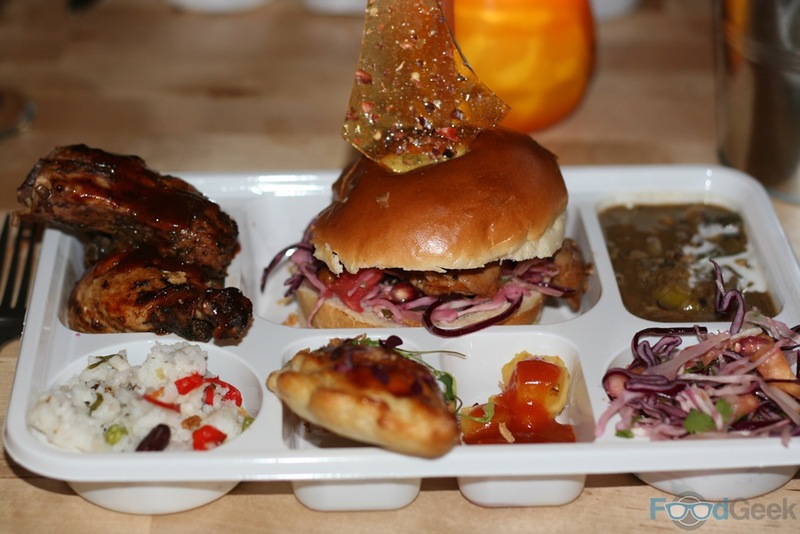 We received a divider tray filled with a variety of tantalisingly dishes. Highlights included a rich, slow cooked Jerk beef stew, tasty mini Jerk lamb and pea patties and chargrilled honey Jerk chicken. The main event was Jason’s famous Jerk Chicken Burger; a brioche bun stuffed with juicy jerk chicken, slaw and mango hot sauce, topped with a giant piece of chilli candy. I enjoyed every single component of the main course; each was packed with flavour, even down to the coconut and chilli spiked rice. 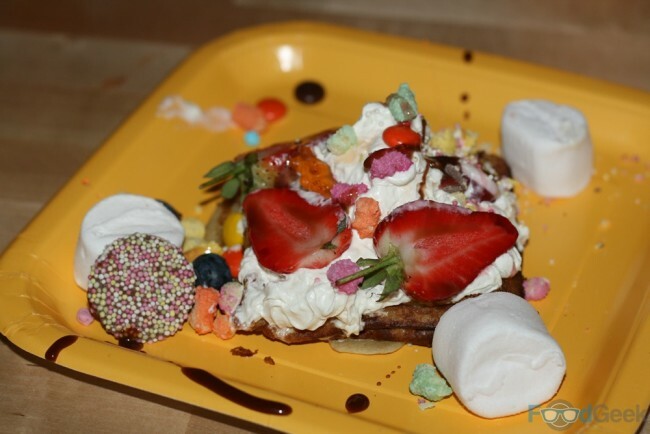 Despite the main course containing so many elements portions were relatively sensible so I was still up for dessert. Just as well really as it looked like somebody had been having a lot of fun in a sweet shop. Waffles and pancakes were piled high with ice cream, cream, fresh strawberries, warm chocolate sauce, strawberry sauce, caramel sauce, nuts, Haribo’s, marshmallow and popping candy. 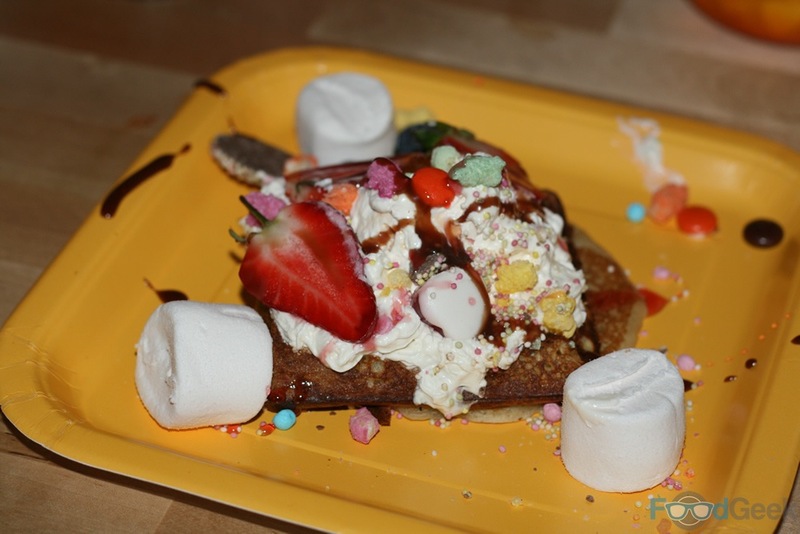 I’m not usually a fan of such over the top creations but I can’t deny I enjoyed eating this. Every spoonful revealed an exciting new discovery. Besides the food, one of the best things about eating at Splendid is the beer selection. 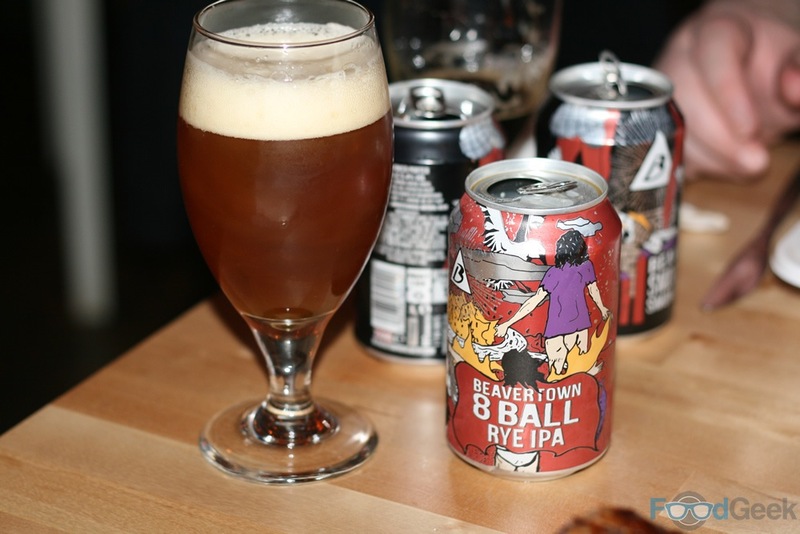 Along with a great core range of beers including Beavertown they have a board of specials featuring interesting breweries like Mad Hatter, Liverpool Craft Beer and Weird Beard. 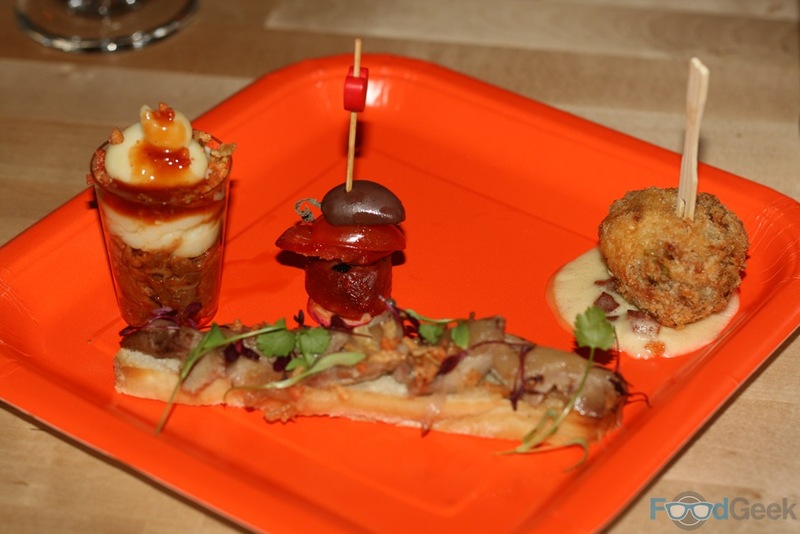 I had a great time at my first Kitchen Takeover. Jason nailed every single dish and I just love his style of cooking and the way he manages to pack maximum flavour into absolutely everything. Otherwise it was a great night with quality, interesting food and good beers in a top venue. 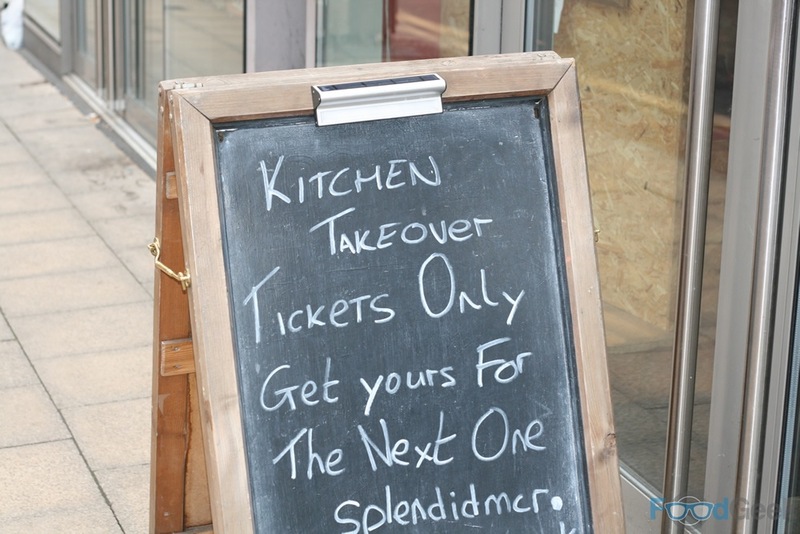 I think the Kitchen Takeover is a great concept too and hope to be able to attend some of the future events. In fairness, I do talk much too quietly.